Did you know diabetes can cause eyesight problems? In fact, diabetic eye disease, or retinopathy, is the leading cause of eyesight impairment or blindness in working-age adults. It can be prevented. Caring for your eye health is vital. What is diabetic eye disease? The most common complication is harm to the blood vessels in the back of the eye, from elevated blood sugar. This type of damage is most often caused by diabetes. Diabetic Retinopathy – This is a complication of blood vessels in the eye, that interferes with vision. Diabetic retinopathy is the most common cause of eyesight loss among people with diabetes. Cataracts – Clouding of the eye’s lens. 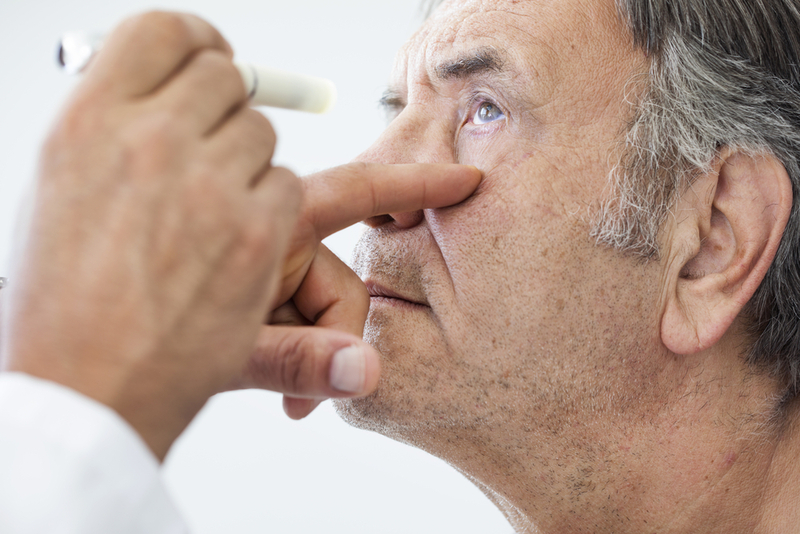 Adults with high blood sugar are 2 – 5 times more likely to develop cataracts than people without. Glaucoma – A group of diseases that damage the optic nerve. High blood sugar doubles the risk of getting glaucoma in adults. The best way to prevent complications is by scheduling yearly diabetic eye exams. It is an eye exam that specifically looks for eye damage linked to diabetes. Your eye doctor may not know (or remember) that you are diabetic. Always let your eye doctor know if you have high blood sugar or have had any changes in your health. The risk for eye disease can be avoided by improving diabetes and blood pressure control and avoiding smoking. Ask and work with your primary care provider. Diabetic eye disease can be treated if caught early. For more information talk to your primary care provider or your optometrist. Larry Wu, MD is a regional medical director for Blue Cross and Blue Shield of North Carolina and provides consultative services for employee health solutions, prevention, chronic disease, care management, medical expense and utilization management. He is a family physician with over 20 years in clinical practice, has served as clinic director in the Indian Health Service, Kaiser Permanente and Duke Family Medicine and currently maintains a part-time clinical practice.